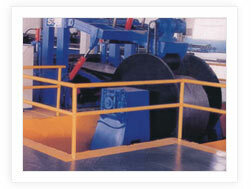 We offer Cut-To-Length Lines and Slitting Lines in association with M/s Kingjime Machines Ltd., Gaung Dong, China. 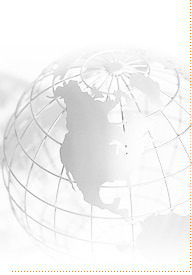 We manage the Sales and Service operations of the company for their India operations. KingJime Automatic Pressure Equipment Co., Ltd. was established in 1995. The company has passed the related product CE authentication, international quality system management ISO9001:2000 authentication in 2006~2007 and the international quality system management ISO9001:2008 authentication in 2010~2011.We also have obtained three certificates of the Utility Model Patent. 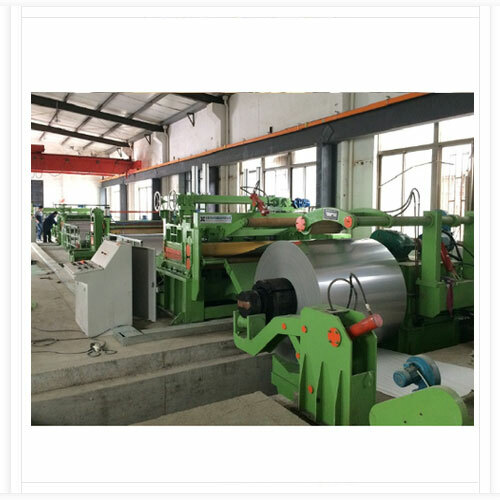 We offer Automatic Heavy Duty Cut To Length Line Machine, used for straitening and cutting stainless steel sheet & plate with a variety of school-shear length specifications and fringe trimming function. From the standard configuration: Feeding car, uncoiler, Reply feeder, the feeding of pre-school, the transition table, spacing device (trimming machine, and at the wire winding machine), the host school level, length device, the tail plate feed units , shears, conveyor table and threw feeder, the code expected workstations, Zhengliao devices, hydraulic systems, electrical control system. The main production line hydraulic system used Taiwan Original precision components, electrical control procedures for imported PLC and touch screen controller to control all functions, the main motor of a school-DC-DC controller products by the United Kingdom in Europe, with the degree of automation high shear and high precision, stable and reliable performance, easy maintenance, and other operational characteristics. 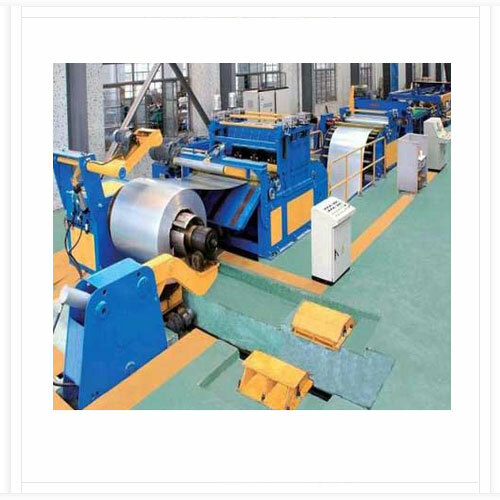 Middle Size Board Cut To Length Lines can do uncoiling, straightening, gauging, cross-cutting to length and stacking work. It mainly includes uncoiler, straightener, gauge, shearer, conveyor, stacker, hydraulic system, pneumatic system and electrical system, etc., the line can make sure of accurate feeding and shearing. It can be widely used in cold or hot rolling carbon steel, tinplate, stainless steel and all the other kinds of metal materials with surface coating. Cut to length line is controlled by PLC system. It has CNC controlled single shaft feeder, The information of length, shearing numbers and speed can be input to the CNC systems. When the need shearing number is reached the line can stop automatically. The line speed can be adjusted, It has a gauge with high precision, and whole line can work automatically and operate easily, smooth sheet can be made. 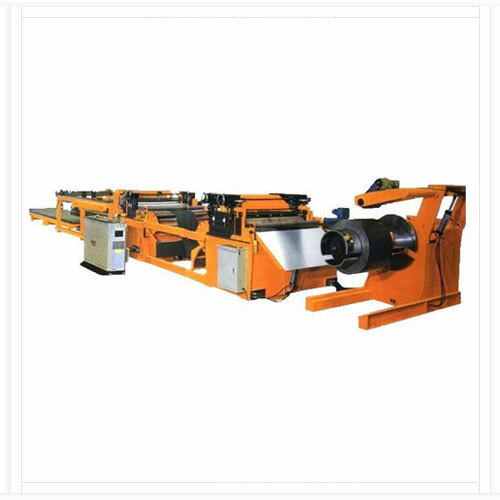 High Speed Cut To Length Line Machine can do uncoiling, straightening, gauging, cross-cutting to length and stacking work. It mainly includes uncoiler, straightener, gauge, shearer, conveyor, stacker, hydraulic system, pneumatic system and electrical system, etc., the line can make sure of accurate feeding and shearing. It can be widely used in cold or hot rolling carbon steel, tinplate, stainless steel and all the other kinds of metal materials with surface coating. Cut to length line is controlled by PLC system. It has CNC controlled single shaft feeder, The information of length, shearing numbers and speed can be input to the CNC systems. When the need shearing number is reached the line can stop automatically. The line speed can be adjusted, It has a gauge with high precision, and whole line can work automatically and operate easily, smooth sheet can be made.